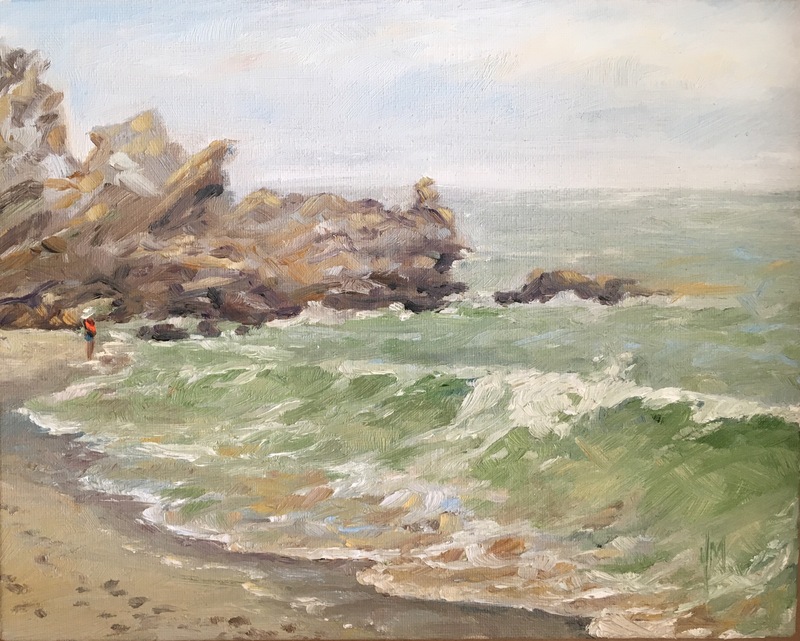 Painting plein air at Sycamore Cove Beach. 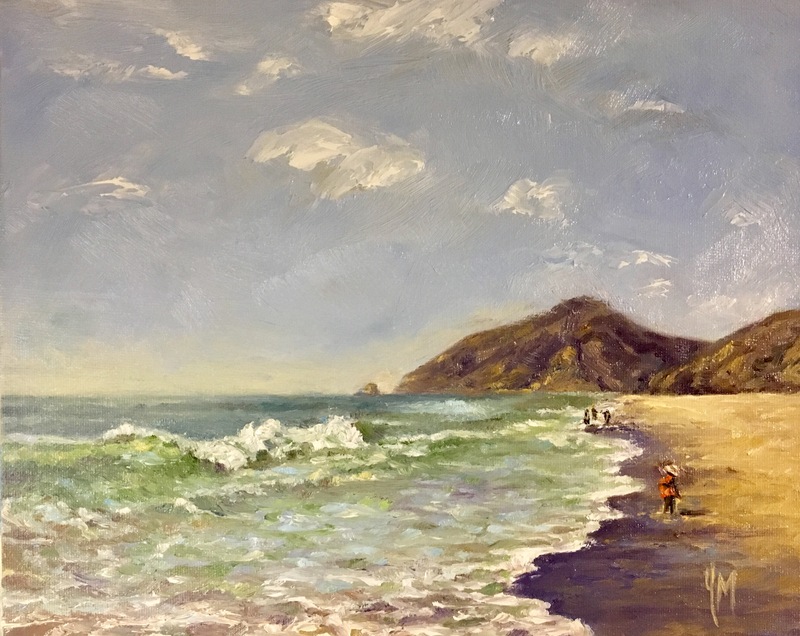 Painting in the sand with people around is a challenge, especially since I am so new to plein air painting, but I enjoyed the experience and look forward to many more times to paint this way. The first scene, below, seemed rather stiff to me so I painted the same scene a second time with mainly a palette knife and a bit of brush work. Between realism and impressionism, I seem to have two extremes of styles but as I continue painting and grow as an artist, I hope to have one distinct style of my own emerge. There are so many beautiful areas in the United States and one of my favorites is Payette Lake. While traveling last summer to Boise Idaho, we were told that going up to McCall was a “must see”. The town of McCall was such a pleasure to walk around with our dogs and there were so many great places to eat and of course, the view was stunning! The lake is a 5330 acre expanse of clean, glacial water at an elevation of approximately 5,000 feet in the forests of Idaho. An added bonus was to see the lake with the boats harbored as the sun was going down. Here is my impression of the evening scene.